Frontotemporal dementia (FTD) is the second most common degenerative disease causing dementia in younger adults. The age of onset is typically in the 50s or 60s but can be as young as 30. The disease is sometimes called frontotemporal lobar degeneration and was first described 100 years ago by Arnold Pick and was previously referred to as Pick’s disease. 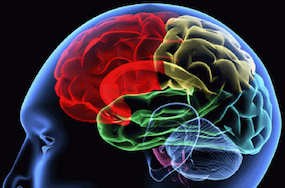 Damage to brain cells begins in the frontal and/or temporal lobes of the brain. When the initial damage is in the frontal lobe (called behavioural-variant FTD) the main changes are in personality and behaviour. Individuals with damage predominantly in the temporal lobe (either progressive non-fluent aphasia or semantic dementia) lose the ability to speak or understand language. Our research is investigating the cognitive, behavioural, psychological and physical brain changes associated with frontotemporal dementia, as well as the impact of the disease on the lives of patients and their families. We are also looking at the genetics of frontotemporal dementia, and are currently conducting animal studies and designing a clinical trial of a potential treatment to slow the disease. Brain atrophy is found in specific cortical and subcortical regions in frontotemporal dementia. The pattern of atrophy is specific to each subtype. Although changes in the brain grey matter are well documented, changes in the white matter are not as well understood. This study investigates changes in white matter in FTD subtypes using diffusion tensor imaging, and how these changes are related to those found in the grey matter. This project will also map the evolution of these changes with disease progression. Changes in white matter integrity have been reported in FTD on neuroimaging investigations such as MRI, with a particular interest on diffusion tensor imaging (DTI) in recent years. DTI provides a measure of tissue organisation. However, the nature of these changes of the white matter ultrastructure in FTD is unknown. This project will determine the changes in the brain white matter at postmortem in FTD patients for whom DTI was acquired in life. Relations between these changes in the different FTD subtypes will be established. 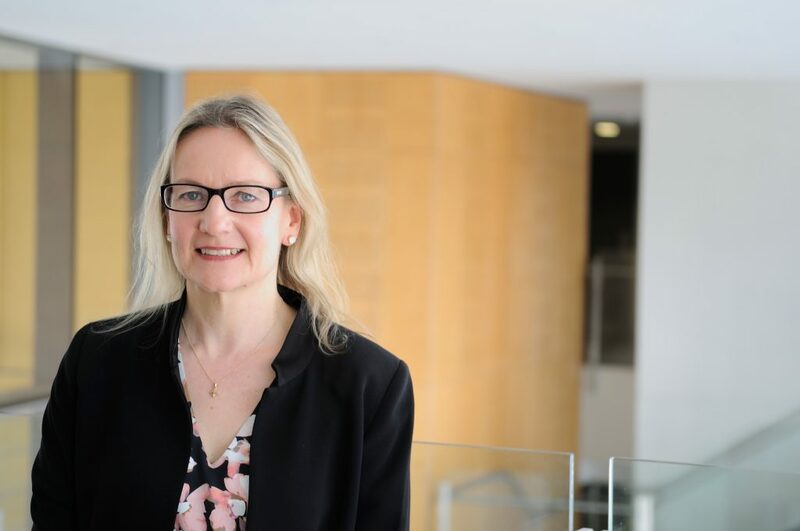 This research program explores the influence of dementia on the pattern of hospital admissions, clinical care, health outcomes and economic costs of older people with an injury-related hospitalisation. It provides data on the impact of injury on a person with dementia and the health system more generally. The IFOCIS study aims to determine the ability of an individualised exercise and home hazard reduction program to reduce the rates of falls in older people living in the community with cognitive impairment or dementia. To do this, we have two groups– an ‘intervention’ group and a ‘control’ group. The Intervention program involves: an exercise program and a home hazard reduction program delivered by experienced therapists tailored to the participant’s cognitive and physical abilities. Carers are an integral part of the intervention team, as some participants require supervision for exercise sessions. We work with carers to help them understand how to get the best from the participant they are caring for, in terms of their ‘functional cognition’, completing the exercises and preventing falls. Taking this individual approach means that participants can have very different cognitive abilities and still be included in our study. No other study has done this to date. All participants will undergo an assessment at baseline with re tests at 6 and 12 months to compare each of these groups on things like strength & balance. The primary outcome is the rate of falls during the 12 month study period which is collected using falls diaries on a monthly basis. Recruitment for the project is now in the 2nd year. We have enrolled 184 participants and their carers into the trial from the Prince of Wales hospital / NeuRA site and the Hornsby hospital site. We hope to have 360 participants enrolled by the end of 2017. We continue to recruit from Prince of Wales and Hornsby hospital wards and outpatient clinics and other Sydney metropolitan hospital dementia day clinics. This project’s objective is to develop cell culture and mouse models to study underlying pathomechanisms and develop/test new treatments. The aims of this project are to undertake the biological characterisation of this novel neurodegeneration gene. We are also examining a panel of commercially available and clinically relevant agonists and antagonists to modulate key pathways involved in Alzheimer’s disease and other neurodegenerative disorders. We have looked at the impact of overeating on body weight, cholesterol and insulin levels and relating all of these changes to regions of brain pathology as demonstrated by MRI imaging. We are now extending these studies to investigate patients with motor neurone disease and with Alzheimer’s as well as those at risk of genetic FTD. Unlike other neurodegenerative conditions, people with FTD may have one of a number different underlying cellular brain changes. Patients followed longitudinally in life are enrolled into the brain bank so that we can gain insights into the pathological processes in FTD. In order to develop treatments and effective interventions for patients with FTD, the underlying process of brain degeneration needs to be identified early in the disease course. We are investigating protein changes in blood specimens that may tell us about the underlying brain pathology in FTD. 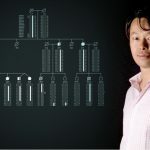 The laboratory at the NeuRA are conducting longitudinal studies of the first degree relatives of people with these known mutations who are at risk of developing the disease to find the earliest brain changes. We are also looking for new genes responsible for families with FTD & MND. We hope these genetic studies will open doors to a better understanding of the biology of FTD, and eventually treatment. How is the processing of emotion impaired in FTD? How does it affect the ability to remember meaningful and important information from one’s life? How does it affect interpersonal relationships? How do these deficits evolve with time? These are some of the questions Professor Hodges and his team are trying to answer in this research project. We are interested in understanding the difficulties patients face in their everyday routines, and why these difficulties occur. Our aim is to develop strategies to overcome these difficulties impacting on everyday life and limit the impact of this disease in both patients’ and families’ lives. Professor Hodges and his team of researchers aim to advance knowledge on a broad front by using a range of research methods (neuropsychology, behavioural measures, brain imaging, etc) to improve the care, management, and treatment of FTD. What else is happening in Frontotemporal dementia research at NeuRA? Help families like the Rushtons and partner with us in conquering dementia. Sadly, it is important you know that Bob has now passed away. It is an incredibly difficult time for Lisa and her young family. However she still wanted Bob's story shared, becaused with more medical research and awareness, one day no family will have to suffer in the same way. Will you help with a gift today so that one day, children like Stephanie, Amy and Poppy won’t lose their dad in such a horrible way? 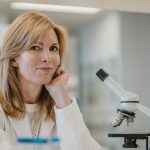 Your generous gift of: • $50 could help our researchers work towards gaining a better understanding of the specific clinical features of the different types of dementia. • $100 could help us improve our understanding of the progression of each type of dementia. • $150 could help us achieve more accurate future health predictions. Or perhaps you’d like to become a regular donor, and help See it Through to a Cure by making a small monthly donation. Lisa (Bob's widow's) heartfelt comments say it all: “NeuRA’s research is not going to help us. It’s not about us. It’s about ensuring we know enough about the amazing tool we have, our brain, so that we can help ensure people in the future don’t suffer in the same way.” Every gift helps. 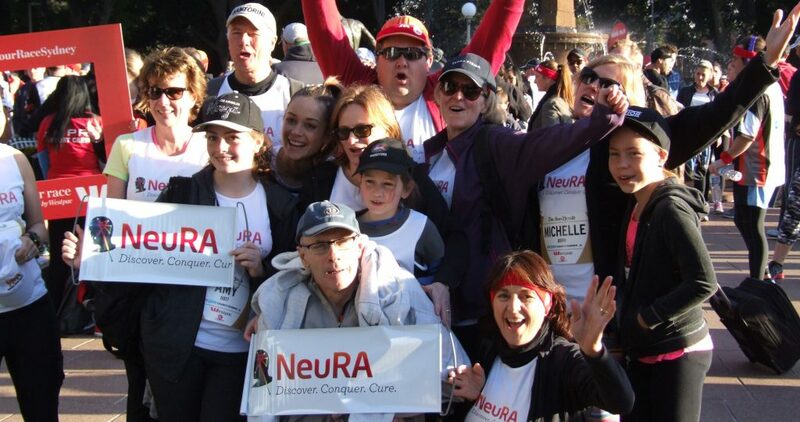 Please, will you help NeuRA cure dementia?